A strong performer for larger loads that demand a clean, pure source of AC power, the Go Power! GP-ISW1500 can run appliances, and sensitive electronic equipment like TVs, stereos, computers and more. 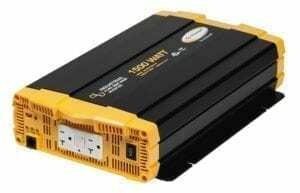 The GP-ISW1500 is a good choice for powering appliances, electronic equipment like TVs, stereos, computers, or as a source of emergency backup power. 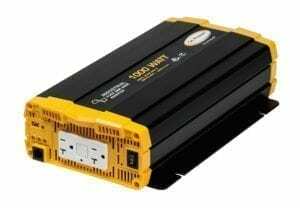 This product is included in the WEEKENDER ISW Charging System. A solid choice for large loads that demand a clean, pure source of AC power, the Go Power! GP-ISW2000 can run several appliances and still provide plenty of pure, clean power for the sensitive loads. Ideal for powering appliances, electronic equipment like TVs, stereos, computers, or as a source of emergency backup power, the Go Power! 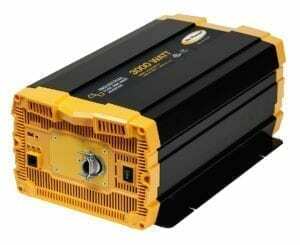 GP-ISW2000 is suitable for a range of applications. 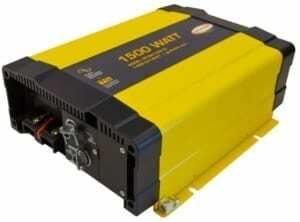 Go Power!’s GP-SW1500-TS pure sine wave inverter with transfer switch provides robust cUL certified AC power. • Run more circuits: microwave, TV, outlets, etc. A solid choice for your mid-range power needs, the Go Power! 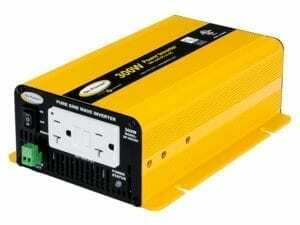 GP-ISW1000 industrial pure sine wave inverter offers plenty of clean AC power for all your portable electronic equipment. The Go Power! GP-ISW1000 inverter is ideal for handling sensitive loads and for improving AC equipment performance in systems with 12 VDC input. 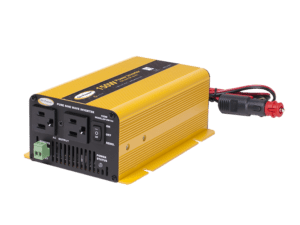 A solid choice for powering electronic equipment like TVs, stereos, computers, or as a source of emergency backup power, the Go Power! GP-ISW1000 is suitable for a range of applications. A versatile performer for your mid-range power needs, the Go Power! 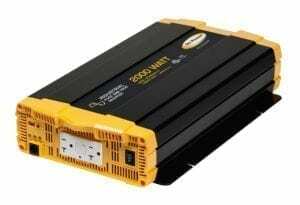 GP-ISW700 industrial pure sine wave inverter is a powerful yet economical choice. 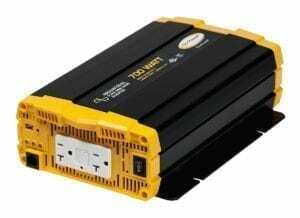 Widely used in fleet truck applications, the GP-ISW700 is available with 12 or 24-volt input. A good choice for powering electronic equipment like TVs, stereos, computers and most medium-load electrical equipment, the Go Power! GP-ISW700 is suitable for a range of applications.